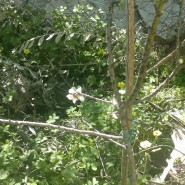 This past Shabbat, Josh noticed the first almond blossom on our newly-planted almond tree. This was BIG news for the Weisberg family. I came out of the kitchen to see it and then Josh and I and all the kids stood around admiring it for several minutes. In our old house, we didn’t have a garden or even a porch. So it is a really new and exciting experience to be eating our own parsley, admiring our own pansies, thrilling over the first flower on our very own almond tree. 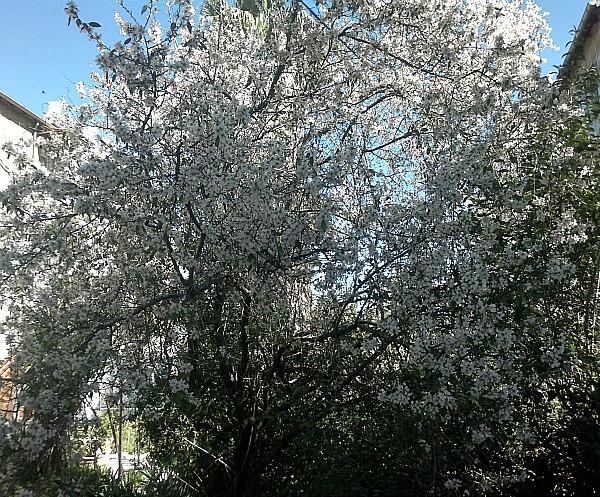 This morning I was carrying Yonatan on my hip to his babysitter around the corner when I looked up and saw such a glorious almond tree in full bloom. It was so big and so gorgeous that I felt my heart jump just a little with wonder. And then I thought back to our own measly little almond blossom. Last night, I was watching a neighbor’s crying baby while she parked her car. I didn’t see a pacifier, so I started rolling his stroller tightly back and forth. And I was surprised by just how immediately I got him to stop crying. “Hey, I’m good at that!” I thought. But then I realized, well, of course I’m good at that! I have comforted eight babies of my own. And then, when I got home, I got a call from my 12th grader. She urgently needs certain documents to apply for next year’s national service. Unfortunately, those are the same documents we lost during our move 5 months ago. So I spent this morning speaking with various IDF offices and running around from here to there trying to make sense of this brand-new bureaucracy and get those documents. With babies, I thought, I am that big almond tree in full bloom. With an 18-year-old, I’m just that measly little flower. There are certain things which I have, with ups and downs, always struggled with…worry, being present, being organized in my head and in my home, faith. And no matter how many almond trees in full bloom surround me, each small step I manage to take to overcome– is like that single almond blossom. Not measly. Rather, a victory. 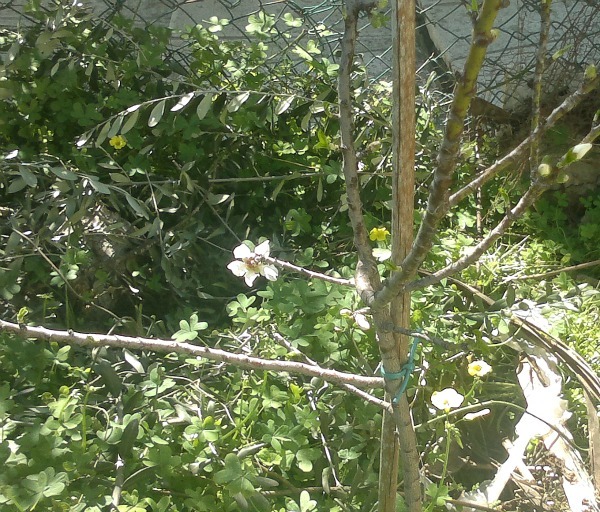 I trimmed our almond tree heavily this past year, and wondered if possibly I had done too much – but happily, it is covered with buds . . . although not one has yet opened into a bloom. There is life in the tree! Job wrote that there is hope for a tree – if it is cut down, that it will sprout again . . “at the scent of water it will bud”(Job 14:7-9). And as in Psalm 1 – as we delight in Hashem and His law, we will be planted by the rivers of water and bring forth fruit in season. May we all delight in His law, and may blossoms burst forth and bring much fruit – even one tiny blossom at a time reveals that there is life in the tree!